Pittsburgh PA: Brady Stewart Studio photographer Dave VanDeVeer. 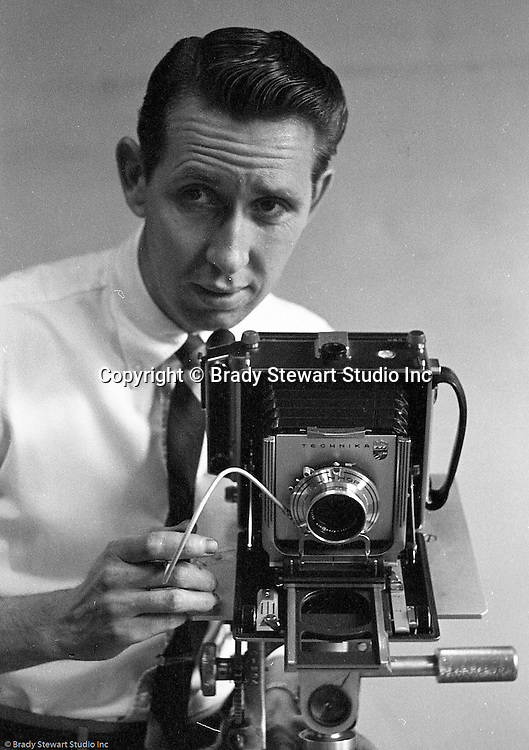 Dave is posing for a photograph that was used in the Brady Stewart Studio advertisement at Ketchum McLeod and Grove offices - 1957. Dave was another very accomplished photographer at the studio and worked from 1952 through 1968. After leaving Brady Stewart Studio, Dave opened his own successful photographic studio in Pittsburgh.